Tomi Lahren has been suspended by her employer TheBlaze. The outspoken pundit’s show will not air for at least a week beginning today, according to conservative site The Daily Caller. The final straw for the Final Thoughts host seems to have been Friday’s appearance on The View on ABC. On the show she explained her pro-choice stance on abortion and described pro-life conservatives as “hypocrites”. Her site TheBlaze employs several pro-life conservatives. She said: “I can’t sit here and be a hypocrite and say I’m for limited government but I think the government should decide what women do with their bodies. Her stance shocked many in the media, especially as it appeared to be a U-turn from the position she expressed in a December edition of Final Thoughts, in which she refers to abortionists as “baby-killers”. She said: “Pro-choicers are supposed to be about rare and safe abortions. That’s how they avoid sounding like straight-up baby-killers, by acknowledging that abortion is not a positive thing and a difficult choice. Other employees of TheBlaze, Glenn Beck’s conservative news outlet, had been uncomfortable with Lahren for some time, according to The Daily Caller. On his radio show this morning, Beck said: “TheBlaze cannot about me, me, me, me…It’s no secret that Tomi and I don’t agree on quite a lot, but that is about personalities. The ideas are what are important. 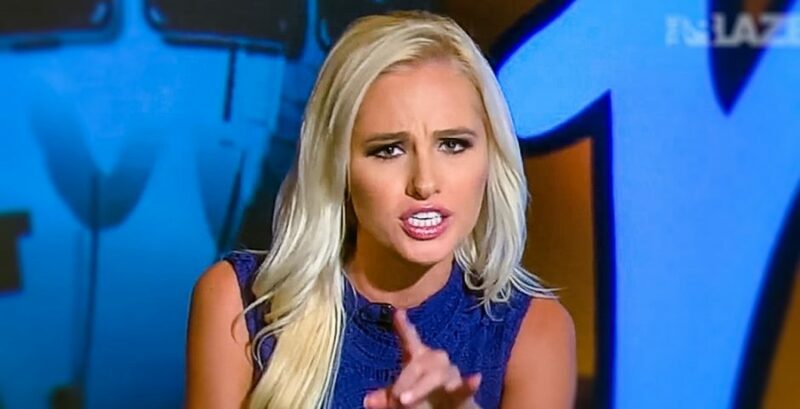 The Tab has reached out to Tomi Lahren for comment.